As the stalemate on the battlefield in eastern Libya persists, the debate on the role played by NATO in Libya is making the news. In spite of the claimed accuracy of the allied aircraft involved in the air strikes on loyalist forces and the continuous reassurance that the US partial withdrawal did not affect the overall firepower and tactics, few achievements were obtained in the last few days under a military point of view. Misratah is still under siege and rebels are still under heavy shelling on the distuputed towns. Provided that the US will support Unified Protector, as it is doing since the beginning, with tankers, SIGINT and SEAD planes, the number and type of aircraft involved in the operation, is consistent with the assigned mission (that, worth a remind, is not to defeat Gaddafi but to protect civilians). Should the terms of the intervention change, something different (as attack helicopters) will be needed in theatre. For sure NATO’s mission is not aimed at providing air cover to the rebels because that’s not what the UN resolution asks. However, by simply stating that the protection must be achieved by taking “all necessary measures” the resolution comprises those air strikes and Close Air Support missions required to prevent loyalist from shelling civilians and rebels strongholds. In my opinion, the main problem is not only with NATO’s tactics but, more generally speaking, with UN (and EU in particular) and their inability to timely react to such kind of crisis providing the right mandate for the situation. The problem is not only military but mainly political. For sure as suggested by the DoD, NATO can’t be successful on the Libyan battlefield without changing its tactics but how to employ the assets, RoE, target list, etc, are military choices strongly influenced at political level. How could the same Governments that have cut the military budgets and were unwilling to provide ground attack assets for either internal struggles, existing ties with Gaddafi or simply fearing that terrorists could get to the power, back a military solution of the crisis, now? Aware of their own limitations they are hoping in some sort of agreement that would soon lead to a ceasefire and that Gaddafi steps down. The way NATO interprets the UN mandate on maritime arms embargo is tight meaning that, unless some weapons are found the ship is allowed the transit to/from Libyan ports. This enabled petrol brought by a ship previously checked by Nato to reach Tripoli supplying the starving loyalist forces. If that petrol is used to supply fighting forces threatening or possibly threatening civilians, they had to be stopped. Or not? Although limited by poor weather for a few days, Alliance air assets have effectively engaged Libyan combat forces on the ground to mitigate their capabilities and protect the areas toward which they have advanced. You will be aware that, over the past few days, Libyan government forces have increasingly shifted to non-conventional tactics, blending in with road traffic and using civilian life as a shield for their advance. As a consequence, they have moved in the direction of Ajdabiya, posing a direct threat to that city, and beyond that, to Benghazi. In response, NATO has pursued direct strikes on advancing forces and their logistical and munitions supply chains. 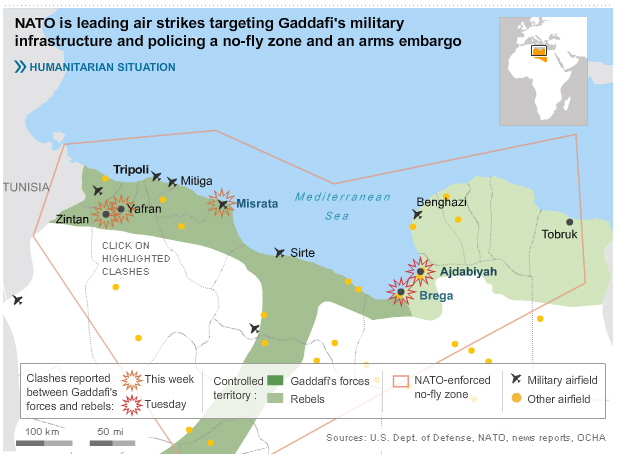 NATO has also used surgical air strikes to sever the main supply route between Ajdibaya and Misrata. In doing so, NATO forces have been particularly careful to avoid injury to civilians who are in close proximity to the fighting, often precisely because of the tactics of government forces. I would now like to clarify an issue that has been reported in the news media. Some media and TNC leaders have stated that NATO has picked sides and at the same time that we have mostly been destroying Libyan military targets. Let me be clear: we will attack any forces that mean to harm innocent civilians. I would remind you that it is Col Gadhafi who has stated he will show no mercy to his own population, and it is his military that has shelled civilians, bombed cities and continues to threaten innocents.Again, we will attack any forces that mean harm to the civilian population. Q: Despite of content of your statement, rebel military leaders are saying NATO is failing in its mission to protect Libyan civilians and quote that NATO don’t do anything even though the United Nations gave them right to act. If you could give a comment on that and what do you plan to do to regain the rebels’ trust. A: I think I’d stop with the last bit of your question. The UN mandates and the Security Council resolutions and that which NATO has signed up to do, is to protect the civilian population; let me be clear, it didn’t say to gain the trust of either side in doing that; the trust is for the International community to accept that NATO is acting in accordance with the mandate and doing what it said it would do. I can say that in the first five days we have flown in excess of 850 missions the substantial portion of which were strike missions I know personally myself that we’ve ranged from the west from arms munitions depots that were used to re-supply the forces for the second ……..forces and all the way through. If you look in the last 24 hours, we’ve taken substantial action in the area of Misurata as well, against heavy mechanized units and tanks precisely to protect the civilian population. Perhaps there is a problem in that I think Libya must be nearly eight hundred miles wide if not a thousand miles wide – I think eight hundred, and in all that air space we are dominating and so perhaps – and I m not criticizing anyone-in one or 2 areas if they don’t hear us or see us for some hours, I can understand how that might lead to lack of confidence, but I can reassure you that every hour of every day we are watching what is going on in Libya and making sure that we are protecting the civilians. Thank you. Q: Hello, I wanted to ask a couple of questions. One was on the rebels that have criticized NATO for having stopped boats with aid and arms from getting into Misurata, and I wanted to know if that comes under the naval embargo or NATO’s position, really, on aid and arm ships. […]. A: […] The rebels and stopping boats on the embargo: There are three things we’re doing. We’re doing the embargo, the no-fly zone and the protect-civilians missions. The embargo started first…nearly ten days ago now, and the job of that is to make sure that arms and other prescribed goods don’t go into Libya. Some people will know yesterday there were a range of vessels boarded by NATO, boarding officers from a range of countries went onboard those ships and inspected and looked at the manifest of those vessels spoke to the commanding officers and looked at exactly what they had, and discussions were underway with the headquarters down in Nisida here in Naples led by Admiral Veri, and then discussions with this headquarters in NATO and I think what you will find at the end of the day, that no vessels were detained by NATO in that respect. […]. Q: The rebels have hardly criticized NATO for what has happened in Misurata, to the point that they said they consider NATO to be a problem for them. You said you will attack anyone who will attack civilians, but Gheddafi continues using human shields to proceed in his fight. How do you intend to intervene? A: I think your question was about human shields at the end, protecting civilians, and I think you’ve mentioned Misurata at the same time. If I can say a couple of things about Misurata. We are watching the whole country from the west to the east and south and we are looking for forces that are taking action directly against civilian populations and civilian areas or forces that are threatening those areas directly. And we’re also looking at the logistics that support those forces, we’re also looking at where they get their munitions and their gas petroleum at the same time, and we’re looking at forces that might threaten further out. So for an example, there are forces around in the deepest south that we are watching at this moment, and these forces have popped themselves up against civilian population concentrations which we watch and will take action. On the particular issue of Misurata, I said a moment ago, yesterday – I can’t remember the exact time -a substantial number of heavy vehicles and tanks were attacked and destroyed by NATO aircraft in Misurata. Those vehicles and tanks could directly attack the population and probably had been doing so at that time. There is an issue though, with destroying tanks in built up areas without harming innocent civilians, and that’s the issue that’s been going on with Misurata. I’ve heard your point about human shields it’s very difficult for an aircraft to take action if civilians are being used as human shields from up in the air, but I can say that where we can take action –and we are taking action in Misurata, and I know this has been a question-, we are-, and before coming in here I checked that my information is correct and the aircraft have taken action and continue taking action in Misurata or indeed anywhere else where the population is threaten, but I think you’d understand as I say, they’re trying to protect human shields when there’s a tank with dozens of people around about it of innocent civilians, the best thing in that stage is to not to drop a bomb on the tank. So there’s a limit, a physical limit because we’re not allowed boots on the ground there is a limit to what we’re able to do in that respect but that doesn’t mean to say we don’t have the will and the intent to take action to stop that. 1) The battle around oilfields is fierce. Those in Misla and Waha area, used to pump oil to Tobruk, were hit by Gaddafi’s forces in the last two days. 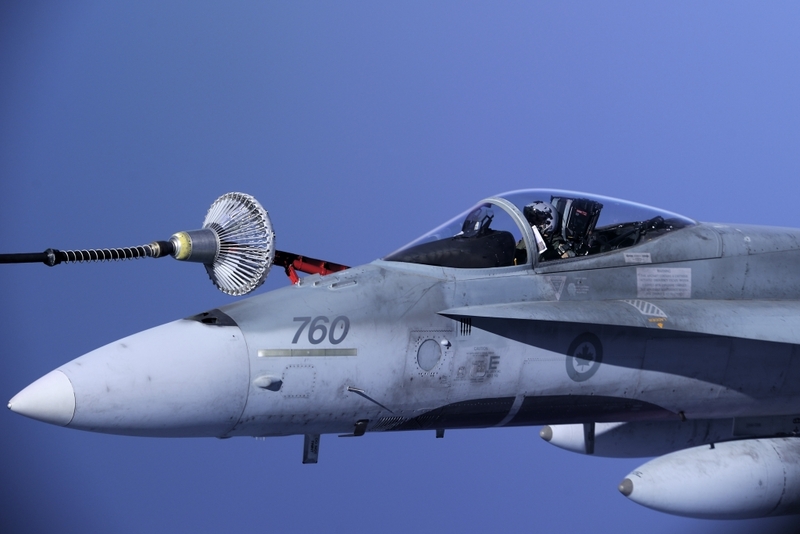 There’s an unconfirmed report that RAF Tornados have hit an oilfield e Sarir oilfield in the Sirte basin, under rebel control, during the night of Apr. 6 and 7, killing three guards. 2) As of Apr. 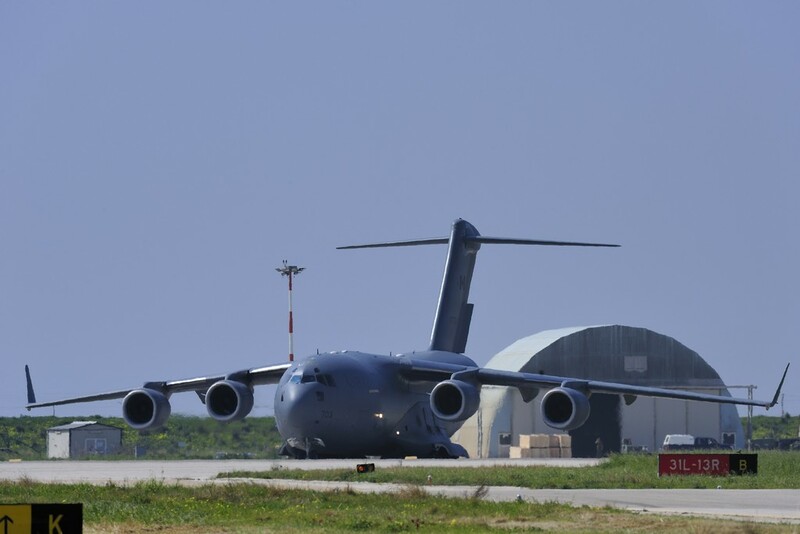 6, 24 missions were flown by the RNoAF under Unified Protector bringing the total to 38. The RJAF F-16 from Aviano, are reported to be flying with USAF F-16s from a few days. It’s still unclear whether they are performing local training sorties or have already flying to enforce the NFZ over Libya. The RAF will add 4 Typhoons to the 16 Tornado GR4s already under NATO command. In the meanwhile, the British ground attack aircraft hit 6 armoured fighting vehicles and 6 battle tanks around rebel-held Misratah and Sirte. The Italian contingent flew 10 missions each involving 2 planes: 4 AV-8B+ missions, 3 Tornado and 3 Typhoon ones. On the evening of Apr. 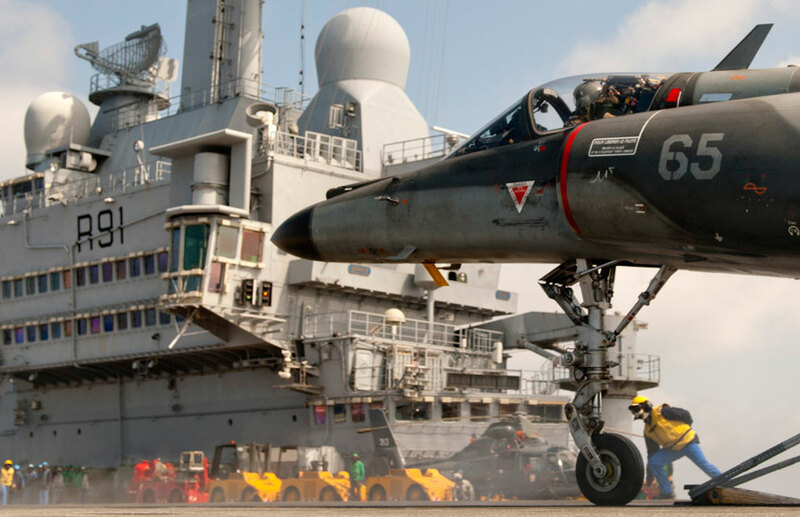 5, the French flew 2 joint patrol missions of Rafale / Mirage 2000D and 2 joint missions of Rafale / Super Etendard while a flight of 2 Rafales carried out a reconnaissance mission.These missions were supported by US KC-135s, British and NATO E-3s and 2 Rafale in tanker configuration (noteworthy this is the first time the Frenc MoD reported about the support provided by other partners). On Apr. 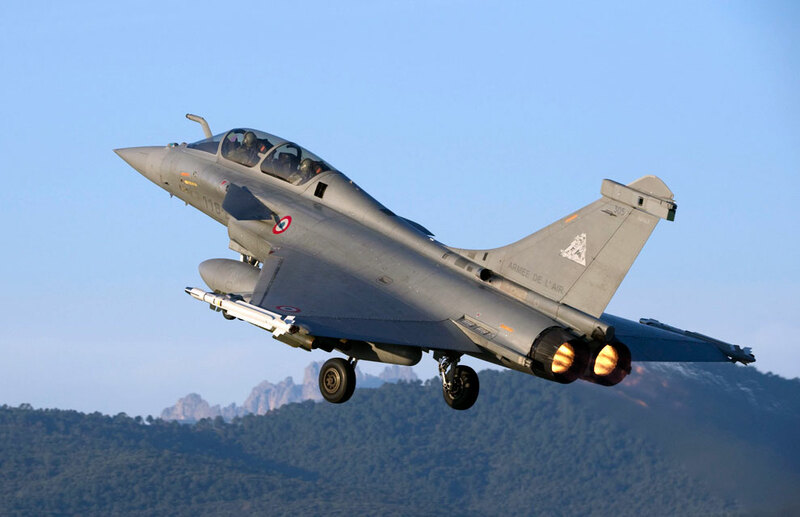 6, 2 joint Mirage 2000D / Mirage F1CR, 3 Rafale / Super Etendard, 1 Rafale and 2 Rafale from CdG missions were flown in the in the areas of Ajdabyah and Misratah. During these missions, two SAM sites were hit, one in southern Zlitan and one 100 kilometers south of Sirte. In addition, a reconnaissance mission was flown by a pair of Rafales while support was provided by French tankers and AWACS. From Souda, 3 missions were flown each involving 1 French and 1 Qatari Mirage 2000-5s. 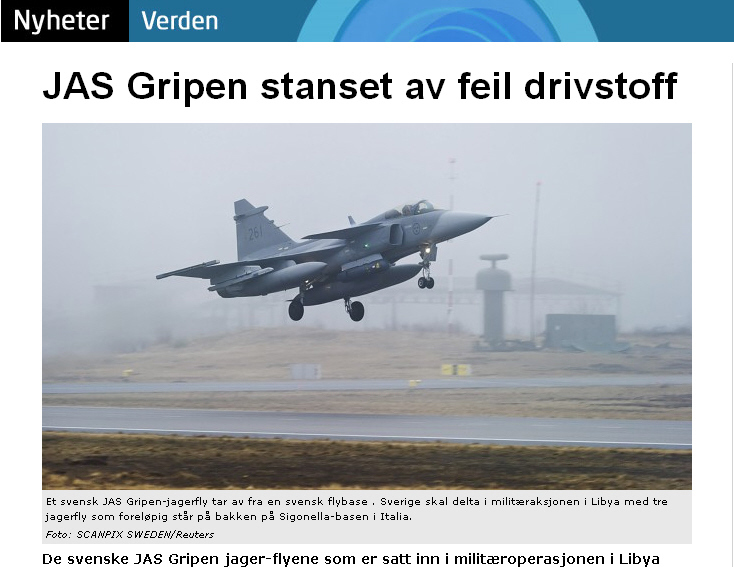 3) Swedish Gripens have not taken part to any Unified Protector missions yet because they are unable to use the JP-5 fuel available at Sigonella airbase since they require the civilian Jet A-1. 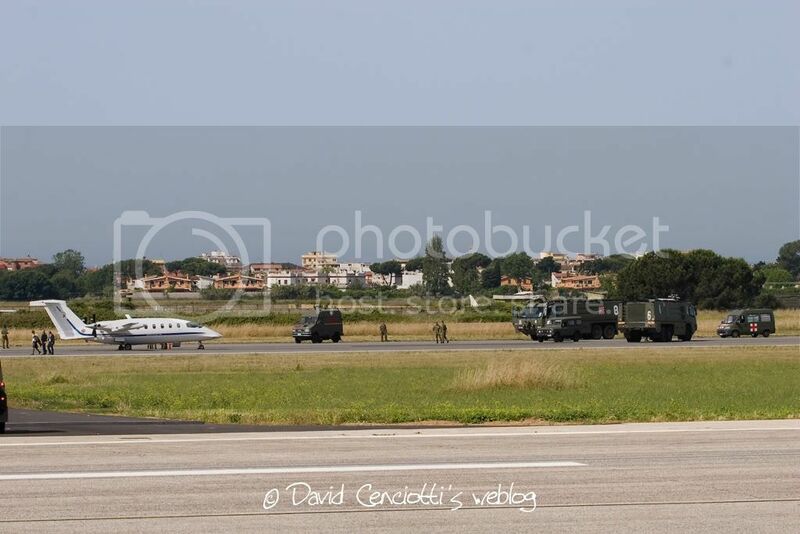 Quite surprisingly such a basic requirement was not checked before the aircraft deployed to Italy.